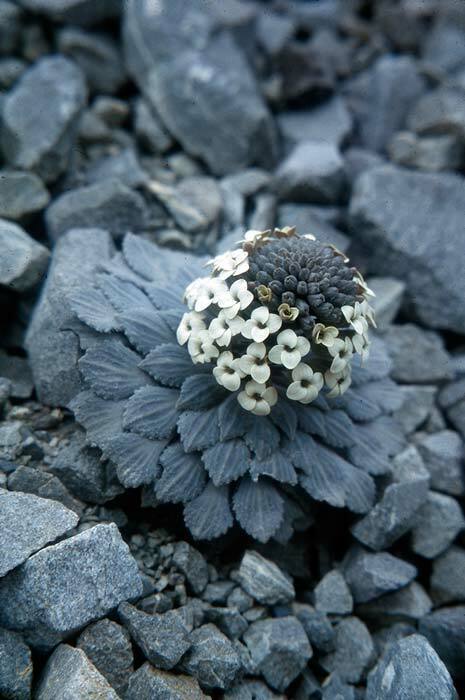 Two species of penwiper plant grow on South Island screes. The largest, Notothlapsi rosulatum, pictured here, consists of a rosette of overlapping fleshy grey leaves. In summer it produces a central stalk of sweet-smelling cream flowers.